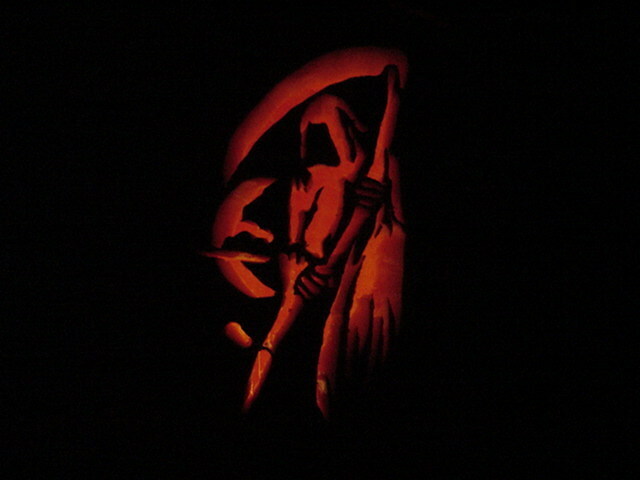 This is a pic of the pumpkin I carved for this year! 11:18am EST uhm... you have mad skills if you carved that. 12:42pm EST That is really cool. There were come kids that did some sweet pumpkins like this too at our camp site we were at over the weekend. Did you use a Template? 2:29pm EST This year I did.. No way I could do that by myself..lol.. Last couple years I made my own though..